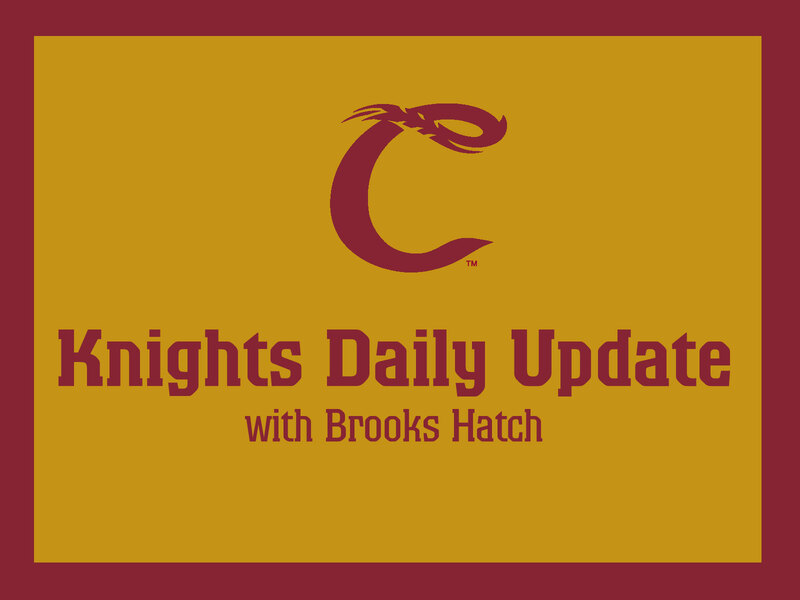 Three Knights alums are playing in the Arizona Fall League, which began Tuesday at ballparks throughout the Phoenix metro area. 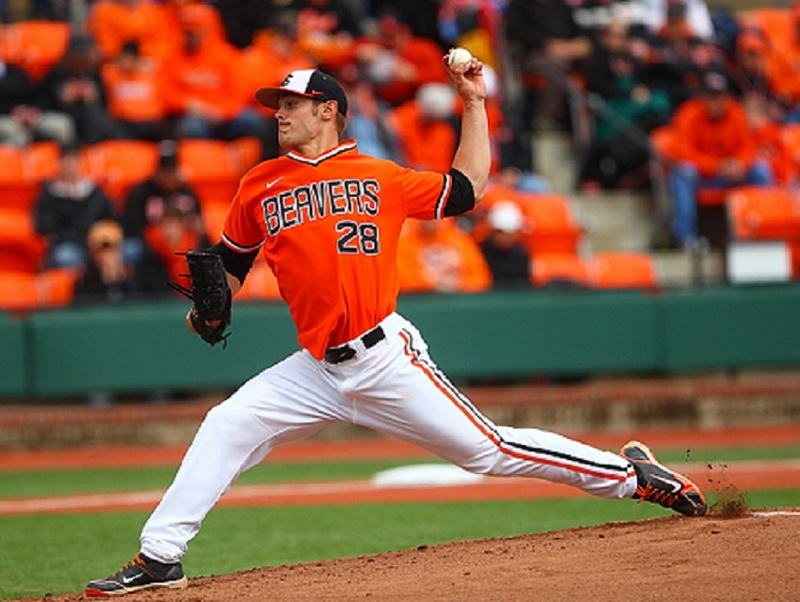 Left-handed pitcher Ben (Wetzler) Holmes (2011, pictured above pitching at Oregon State) of the Dodgers will play for Glendale. Right-handed pitchers Chase Johnson (2011) of the Giants and Stephen Nogosek (2013) of the Mets will play for Scottsdale. All three players finished the 2018 season at double-A. Holmes played at Tulsa in the Texas league, while Nogosek (Binghamton) and Johnson (Richmond) were in the Eastern League. There are six teams in the Arizona Fall League: The Scottsdale Scorpions, Mesa Solar Sox, Salt River Rafters, Glendale Desert Dogs, Peoria Javelinas and Surprise Saguaros. They are divided into two divisions, East and West. Each Major League team sends six top prospects to the Arizona Fall League, 180 players in all. The games are played in the Spring Training stadiums used by the Giants, Mariners, Padres, Cubs, A’s, Royals, Rangers, Diamondbacks and Rockies. Nearly 60 percent of all AFL players make a Major League roster. Each August, MLB clubs hold a position draft to determine the players who will go to Arizona. Most are Double-A and Triple-A minor-leaguers. Each club can opt to send one player considered a Class A player. Please click here for more on the AFL. The Sioux City Explorers of the independent American Association exercised their 2019 option in infielder Dean Green (2008). He hit .303 (23-76) in 20 games there in 2018, with three homers and 17 RBIs. 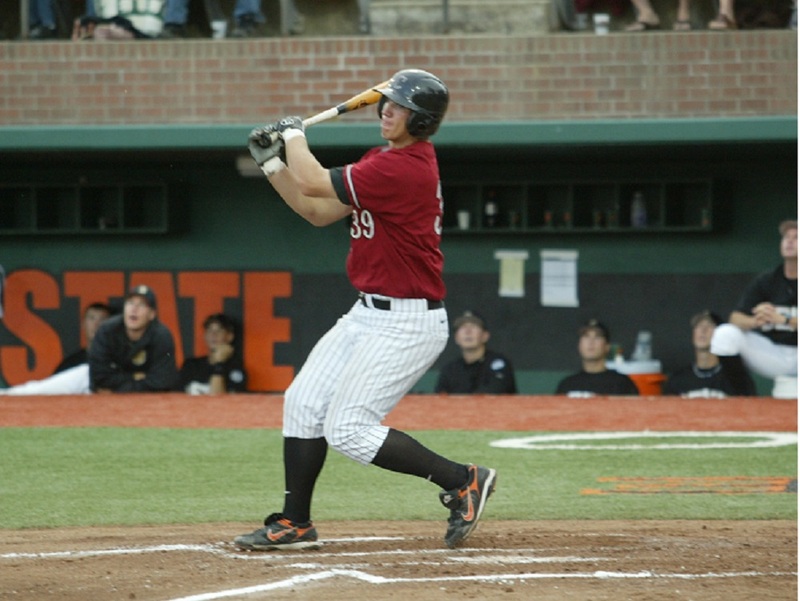 The Kansas City T-Bones of the American Association traded first baseman Danny Hayes (2010) to Sugar Land of the independent Atlantic League. Released by the White Sox at the end of spring training, Hayes hit .185 (12-65) with Kansas City, with a homer and six RBIs. The New Jersey Jackals of the CanAm League exercised their 2019 option on outfielder Connor Hofmann (2011-12). He hit .247 (80-324) in 82 games in 2018, with four homers, 27 RBIs and a team-high 19 steals. Our Aug. 16 championship-night crowd of 1,286 upped the season’s final total to 48,622 in 33 events, an average of 1,473 per opening. We will welcome our 500,000th fan at some point next season. The Knights have drawn 467,789 fans since moving to Corvallis for the 2007 season. That’s all for today. No Blog on Oct. 17, but we’ll see you again on Oct. 24. Have a great two weeks.